When you live on a farm, it is a constant battle to keep the floors clean. Thankfully, in our downstairs which houses our kitchen/diner, it is all tiled. That is not to say I could sweep it 16 times a day and it would still need more. You would think though with our living area on the second floor and our bedrooms on the third, that no farm debris would reach the upper levels. You would be wrong. I went to vacuum the side of Hubster’s bed and it looked like a barn with the amount of straw deposited on the carpet. Needless to say, our vacuum cleaners have to be good. We were recently invited to try the Shark Rocket HV320. It has been advertised on the television and I couldn’t wait to try. The first thing I noticed was how light it was. I have owned vacuum cleaners in the past that, were so heavy that I had to get Hubster to carry them up and downstairs when I was pregnant. I wouldn’t have had that problem with the Shark Rocket. I even carried it in one hand with G in the other with no fear of dropping either. When I turned it on, I first saw the blue light which is located under the cleaning head. Then, when I tried to push it, the constantly moving wheels makes it feel as if it is pushing itself. It was so easy to move. Next up, I tried its versatility. Having already tackled the farm yard floor, I decided to have a go at the stairs. For this, you can remove the longer pole and have it more compact for finer precision work. It was equally as good like this and, in this mode is also perfect for curtains, sofas and other soft furnishings. Our lounge room has one wall much, much taller than the other with a sloped roof. It is so hard getting to the cobwebs in the corner. Usually I have to stand on the back of a chair and I still can’t quite reach the ceiling. With the Shark Rocket, I reached with no problems. 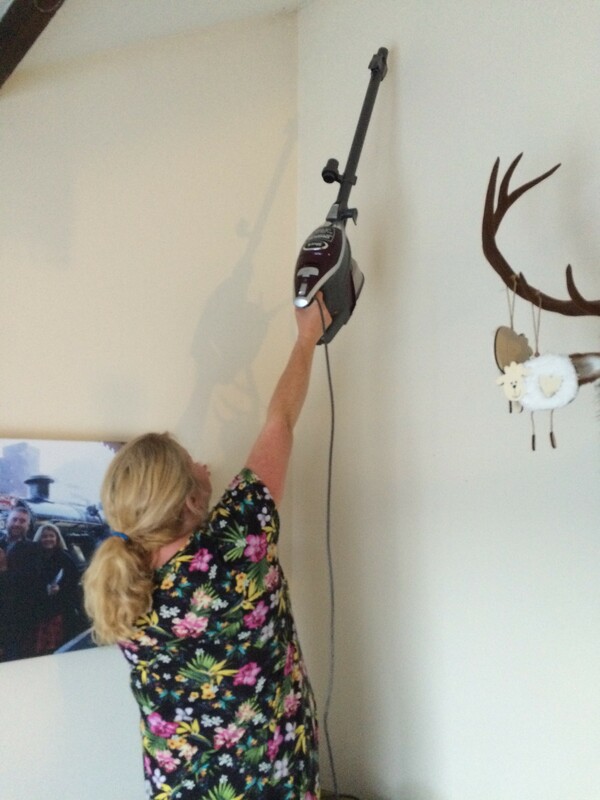 It comes with a crevice tool for tight areas but it was this I used for the ceiling cobwebs as I needed a good aim. There is also a dusting brush for hard surfaces and upholstery. Am on-board upholstery tool, a TruePet motorised brush which picks up pet hair, loose debris and powerfully cleans upholstery and surfaces. With cats and dogs as well as two children who arguably create as much mess as animals, TruePet is a true dream for me. 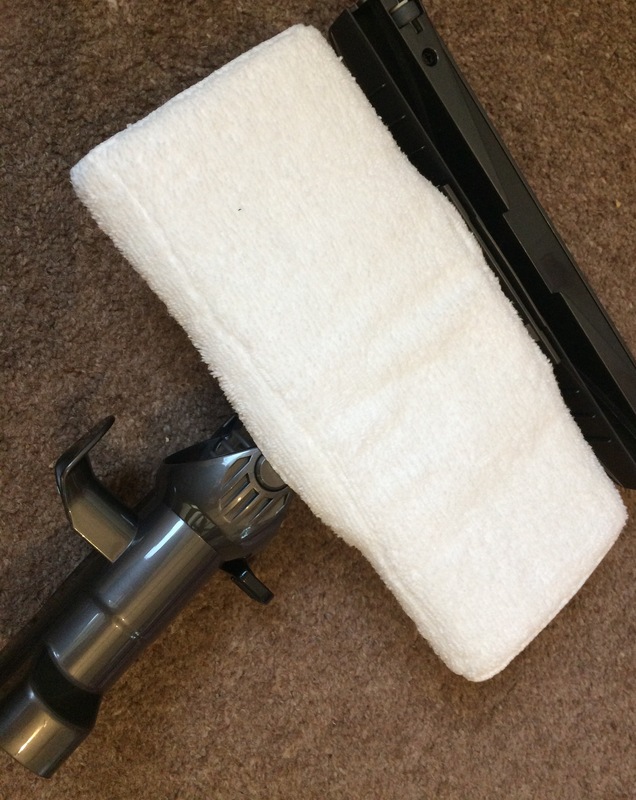 My ultimate favourite feature though was the Dust-Away with washable microfibre pad. It vacuums bare floors and dusts at the same time using washable or disposable pads. This is a godsend for farmyard dust. I even used it in the bathroom and it did really bring the tiles in there up gleaming. The machine was really easy to put together and the different parts are easily interchangeable. When I first saw the size of the dust cup where all dirt collects, I did worry that it was on the small size but, so far, in the whole time I have used the vacuum, in spite of the tough conditions in my house, it is still not full. The only thing I can complain about is that with it being called a Shark, every time I use the Shark Rocket, I can’t help humming the theme tune to Jaws in my head (or aloud to amuse the children). 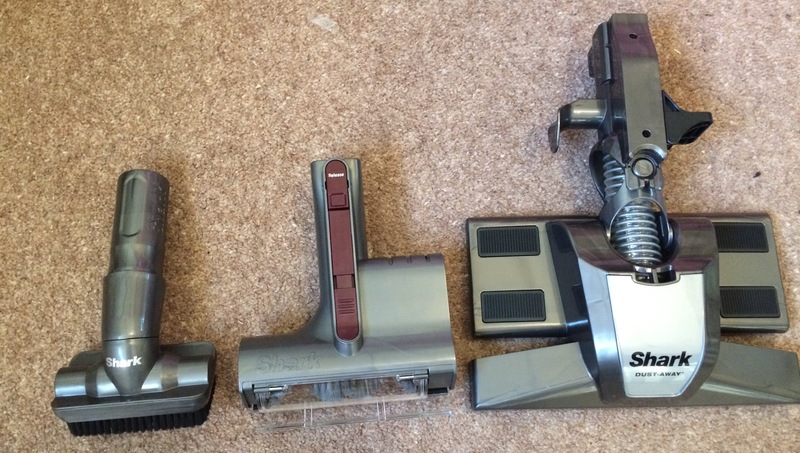 It really is a game changer in the world of vacuuming. If it works at the farm, it will work a breeze in a ordinary home. 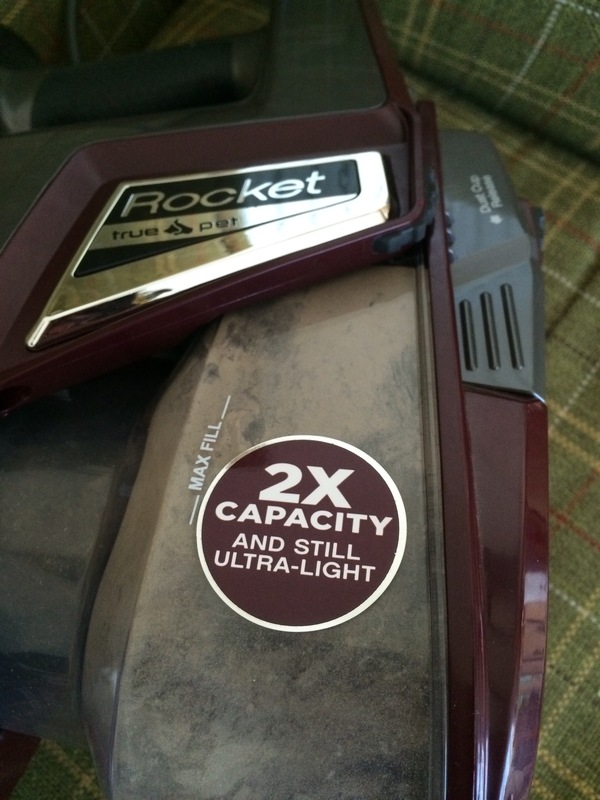 We previously used a very well known brand of vacuum which, if I am honest, I wasn’t so impressed with. It seemed to lose suction very quickly. I am so pleased with my Shark Rocket. It blew the old brand out of the water (sorry for the extra shark joke there). I will never go back to my old brand again. 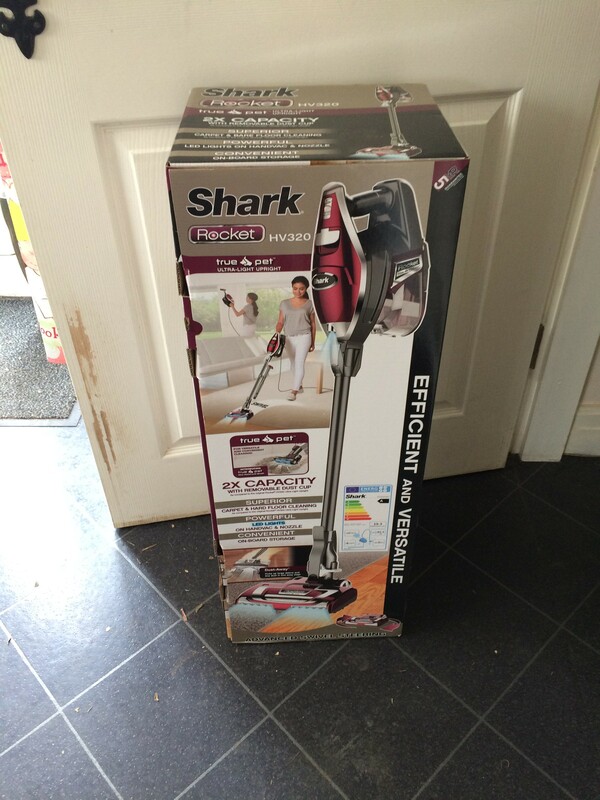 The Shark Rocket retails for £229.99 but is currently on sale for £149.99. We were sent the Shark Rocket HV320 for the purpose of this review but all opinions are my own and I am genuinely really impressed with it. 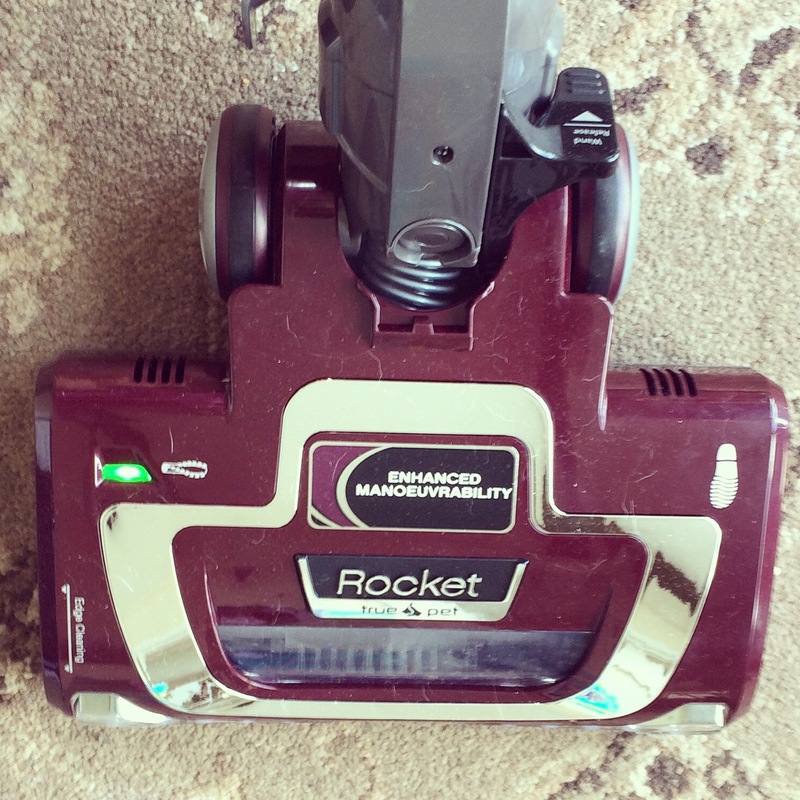 *Edited to add that almost two years on from the review, the Shark Rocket is still going strong and is the only vacuum cleaner to have made it at the farm. It has outlived all of the others and is still going strong. I cannot recommend it enough.